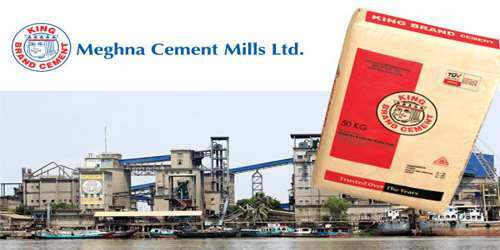 It is a broadly described annual report of Meghna Cement Mills Limited in the year of 2016. In the period under review, the net sales revenue amounted to Taka. 748.88Ccrore (Tk. 451.70 Crore in The year 2015 and Tk. 297.10 Crore in January-June 2016) compared to Taka. 373.88 Crore in 2014, registering an increase in sales around 100.28% of the previous year. Out of the total sales, the company sold Tk. 4.13 Crore (Tk.3.13 Crore in the year 2015 and Tk. 99.85 lac in Jan – June 2016) in the local export market compared to 39.45 lac in the last year. The cost of goods sold during the period under review was Taka. 663.44 Crore (Tk.400.86 Crore in The year 2015 and Tk. 262.59 Crore in Jan – June 2016) whereas in FY 2014 it was Tk. 329.54 Crore. The Board of Directors of this company is pleased to recommend for payment of @15% cash dividend on the par value of shares for the shareholders for the period ended on 30 June 2016. These financial statements are presented in Bangladesh Taka (Taka/Tk/BDT) which is the company’s functional currency. All financial information presented in Taka has been rounded off to the nearest Taka.